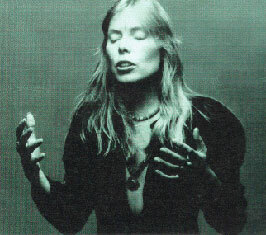 I have to say the 'Amelia / Pat's Solo / Hejira' is perhaps the finest live section ever recorded of Joni. I first obtained the album in 1982 and then after some 20 years obtained a good CD version. A tear rolled down my face as I listened intently to the three songs beautifully recorded and mixed into one flowing delight. I wish the DVD contained the whole concert - would have liked to have seen 'Don's Solo' drumming on the DVD... it is so vibrant. Love the version of 'Woodstock' on this album - it works so well. Attention! The European CD is just a single CD and we're sad and missing BLACK CROW, DON'S SOLO and FREE MAN IN PARIS on this very beautiful live record.